Are you working with a blueprint for success? Do you have ideas waiting for action? Are you resolving problems that matter most? Have you built relationships to support your goals? Howard Goldman's proven system has transformed leaders at the world's best companies for over 30 years. 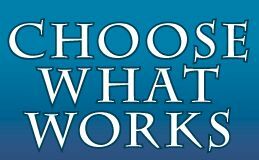 He now reveals in Choose What Works how you can apply his step-by-step coaching to your work. He expertly instructs you to apply his High Performance Operating System, used by today's best companies, such as Apple Computer, Citigroup, and Walt Disney to overcome self-limiting practices and produce new standards for results. He provides the essential tools at the heart of turning problems into success. Howard Goldman is a partner at Management Associates, an international management consulting firm, which he founded over a quarter-century ago. Formerly he was the Director of Artist Development of Capitol Records/EMI working with numerous performers such as the Beatles, Pink Floyd and Linda Ronstadt. 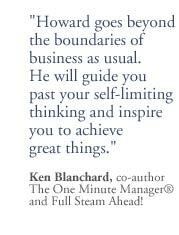 He now provides a brilliant framework of consulting and coaching to guide your success and fulfillment. Management Associates provides a broad range of consulting services internationally including the development of winning strategies, new ways of managing change, executive coaching, and the mobilization of high-performance teams. "Goldman's fresh new voice emerges to guide you to new levels of achievement and satisfaction."